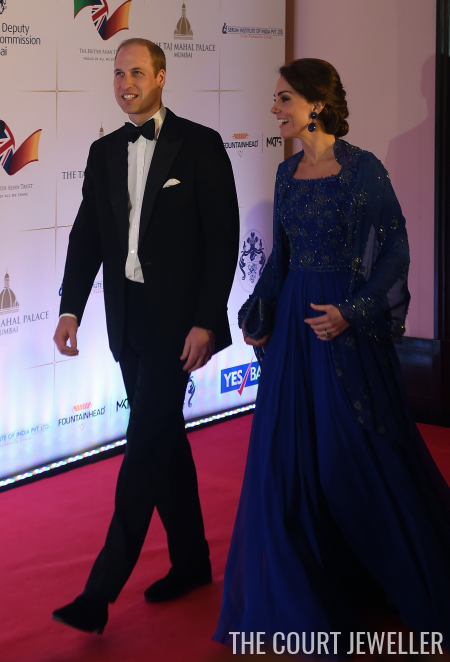 The final engagement of the first day of the Cambridges' tour of India was a gala reception at the Taj Palace Hotel. We must have been very good magpies this year, because we've got a second new pair of earrings from the Duchess today. 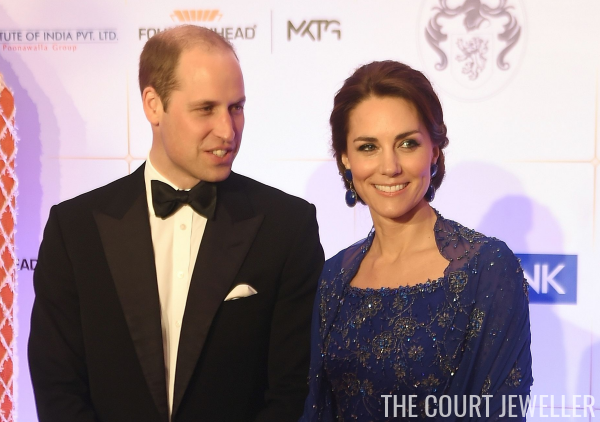 This time, they're from an Indian designer: lapis and diamond earrings from Amrapali Jewels. The pair is made of two faceted lapis drops -- one square-shaped, one oval -- bordered by diamonds. There's also a small round gemstone set between the two drops. A similar pair from the brand reportedly originally retailed for just under $3000.